Baguio's Panagbenga festival was last month but I couldn't go because I still couldn't file a vacation leave at work. When for the fourth time in two months I got sick and lost my voice again, I was convinced the signs could no longer be ignored so I submitted my resignation letter to my boss, citing my recent bouts of illness as the reason. An acquaintance from my high school days who has never been to Baguio reconnected with me afterward. One thing led to another, and not being one to turn down invitations to quests that promise much adventure—and being of the opinion that spontaneous trips have a higher rate of pushing through than well-planned ones—I found myself, with just a light jacket and not even a spare shirt in my everyday messenger bag, hypothermic after alighting at the bus station in The City of Pines. It was my fourth time visiting Baguio. The first time was with my family, but like most events in my childhood I could only remember a few things about the visit such as renting a room at a house as transient occupants, and buying walis tambo and lots of strawberries. The second and third time were also spontaneous trips. I really fell in love with the city on my second visit. Among other things, I liked that there's no need for air-conditioning or a refrigerator, and that it's the only place in this tropical country where I don't cringe at the sight of people wearing fur. Almost everywhere you go in Baguio, clean comfort rooms are being advertised, though you'll be charged a few coins for their use. You can walk to most places if you're not in a hurry and you're up for losing weight traversing the mountain city's streets. Alternatively, you can ride a cab, which is inexpensive. Even if you do though, if you go around even just a couple of the tourist spots The City of Pines has to offer, you'll still do a lot of walking up and down stairs and inclined pathways. At Burnham Park, I had my companion Gerard take a photo of me under a Baguio City Library sign (nerd). He didn't want to go biking or rollerskating, and neither did I because those were two skills I failed to learn as a child. 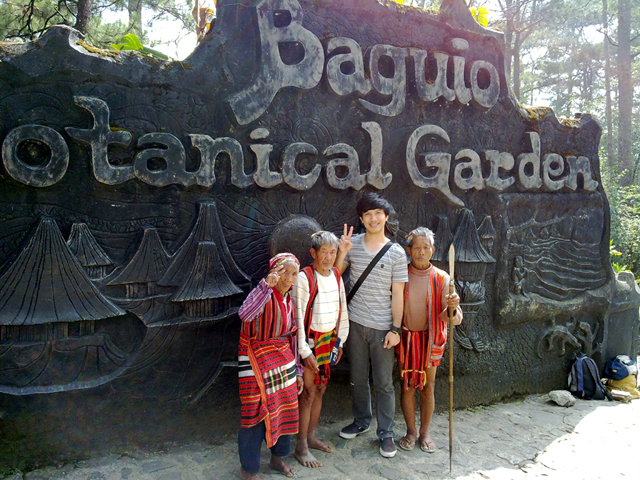 At the Botanical Garden, I met with Igorots who knew to do the peace sign when a camera was pointed at them. I unwittingly touched statues at inappropriate places, and with my companion attempted but failed to get to the other end of the pitch-black tunnel past the Japanese-Filipino Peace Memorial Park torii. There was a beautiful brown horse that, from the time we entered the Botanical Garden till we exited, just stood in place, unmoving, while a man invited passersby to have photos taken with it for a small fee. The man and the poor horse were, alas, ignored the whole while. I don't know if people simply liked having their photographs taken with equine animals on higher ground better, but when we went to Mines View Park, the white horse there seemed to fare better than its brown cousin at the Botanical Garden. At the highest area of the park, I tried to climb a steep rock with a tree growing on top of it but I could only go halfway because I didn't want to miss a step and plummet to my death. Gazing around at the observation deck, we didn't need to use binoculars because the view was beautiful as it was. Worth noting were the half a dozen plain white rectangular boxes with crosses on them which I spotted at the backyard of a house just below. I could only assume they were coffins. Mines View Park had a wishing well that wasn't interesting in itself but had a sign above it from which we learned that, in decades past, there was once a group of children who from the sides of cliffs would expertly catch with bamboo poles the coins that tourists would throw at them. If a kid catches the coin you throw, your wish is sure to come true because the kid shares with you in the act of wishing. The last time that was done, according to the sign, was in the 1990s. We browsed through all the knitted items sold by the shops on the way to the Good Shepherd Convent nearby, but when we finally got to our destination we didn't think we'd find anything exciting so we just went back. There were lots of food and souvenir items being sold in and around Mines View Park so that was where we bought our pasalubong. 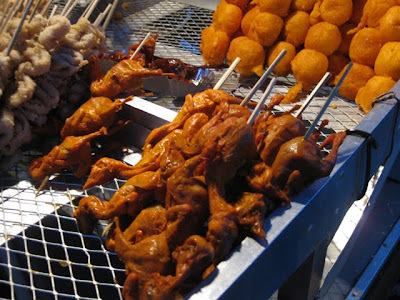 I tried to introduce my companion to the taste of odoks (one-day old chicks deep-fried in oil and soaked in vinegar) but he refused, going instead for inihaw na pusit (grilled skewered squid, also soaked in vinegar). I and the girl who sold him two kilos of fresh strawberries had to agree that he was a wuss. We weren't able to visit all the tourist destinations in Baguio and the strawberry farm in La Trinidad, Benguet—we only had one day, after all. But with all the walking we did I went home two or three pounds lighter. 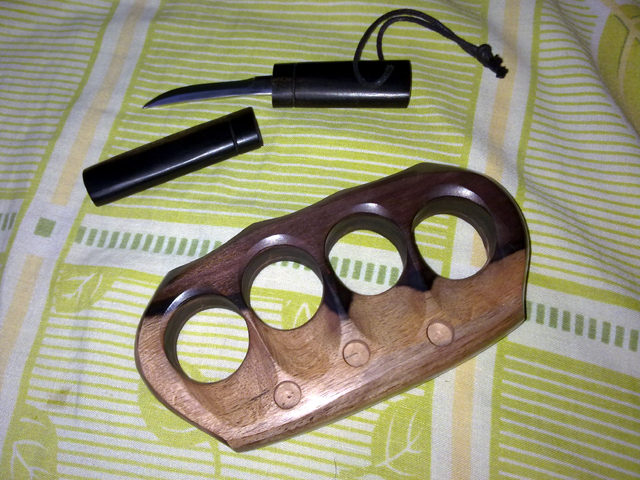 That, the souvenirs I bought for myself (new additions to my arsenal), and simply having revisited one of my favorite cities in the Philippines were good enough for me. Sagada, Mountain Province? What's there? I might wanna go there pero 12 hours? I assume that's by bus or something on land 'cause 12 hours is a bit long for a domestic plane flight. Yes. The k-nife. And the k-nuckle. Haha! Sagada is where I traveled solo for the 1st time. the culture is very rich, the caves are amazing, the views are only for the strong-willed (not for everyone to see), and the experience is priceless. Solo? I don't think I'll be able to travel solo myself. It was great you were able to do that. Thanks for the info! It'll surely be on my to-visit list! 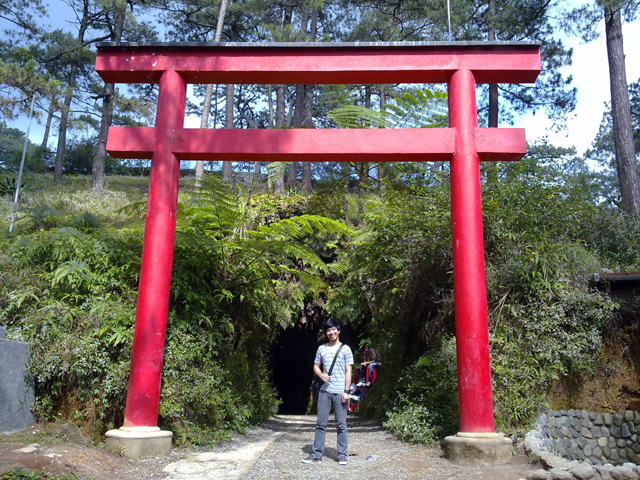 Then let's both add Sagada to our to-visit list! My thoughts too! 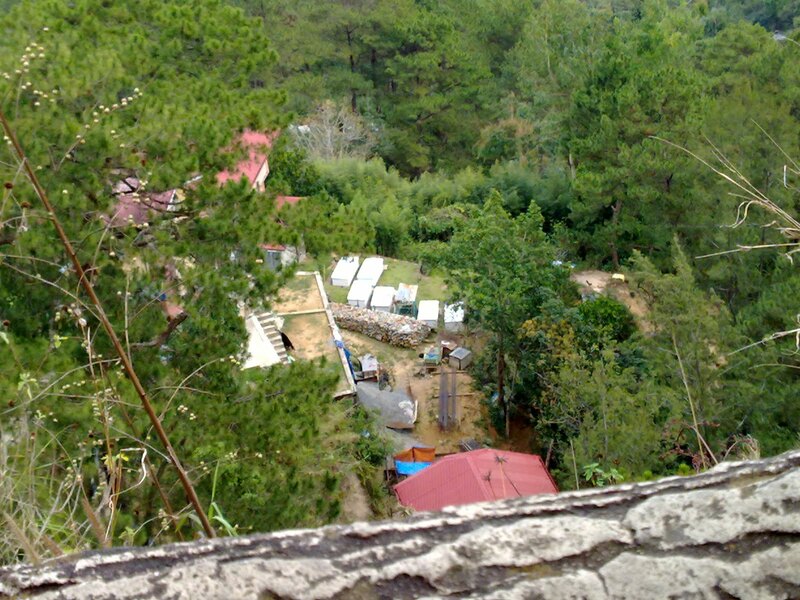 I have to have a house in Baguio someday. Hi - I am certainly delighted to find this. Good job!